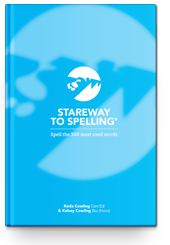 The Stareway To Spelling Manual helps transform students into confident readers, writers and spellers. The manual focuses on the 300 most used words in the English language. It helps students become so familiar with these words that they can read, write and spell them quickly, confidently and accurately. It may astonish you to know that just 300 words form 72% of the all the words that we regularly use in day to day English. Given the importance of those 300 words and the frequency in which we use them, it is fundamentally important that anyone using English should know how to correctly read and spell these words. The Stareway To Spelling Manual does just with a systematic approach that commits the 300 words to long-term memory. Once learnt, students recall the words easily, correctly and at will. 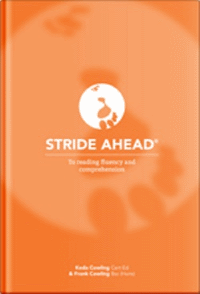 The success of Stareway to Spelling is its unique RAWS process: Read – Analyse – Write – Spell. The exercises are fun and the student is encouraged to learn more as they see rapid improvement in their writing and spelling skills. DON’T DELAY. GET YOUR COPY OF STAREWAY TO SPELLING – NOW!